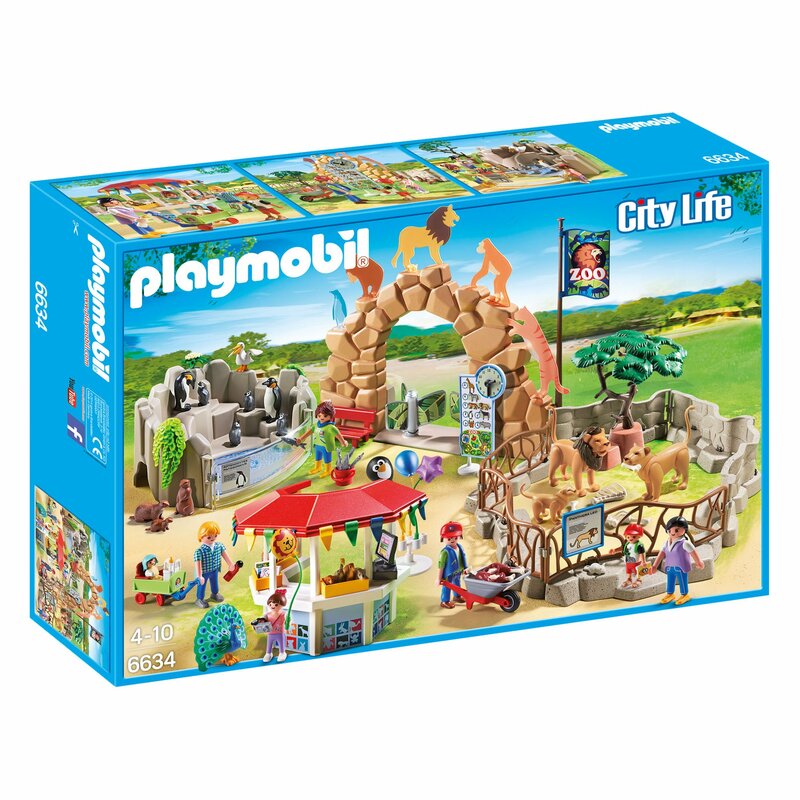 Manage your very own zoo with this Playmobil city zoo set! 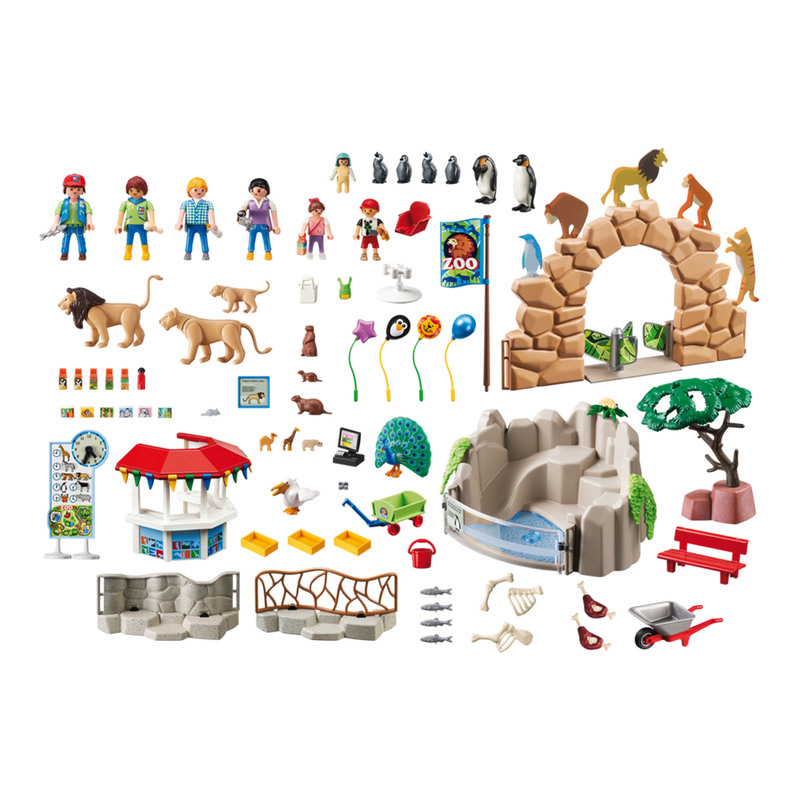 This large set includes everything you need to run your zoo. Help the zookeeper feed the penguins in their pool which features a slide for them to launch into the water. Hear the lions roar from their large enclosure and peek into the marmots enclosure underneath the penguin pool. 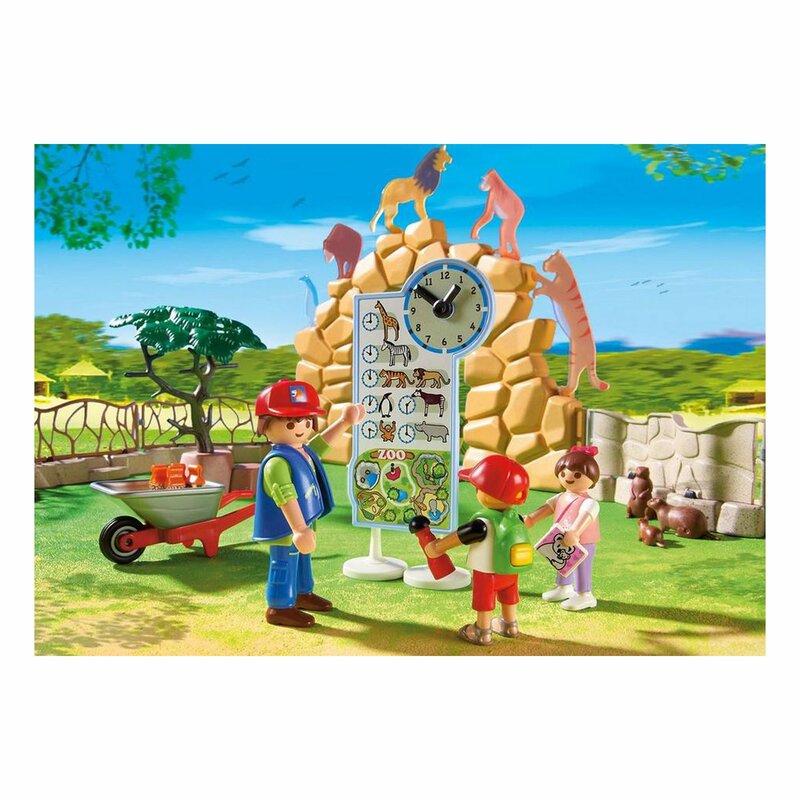 There is a feeding times board so that you can set the times of the animal feeds and a retail kiosk to sell zoo tickets as well as fun souvenirs and animal balloons. 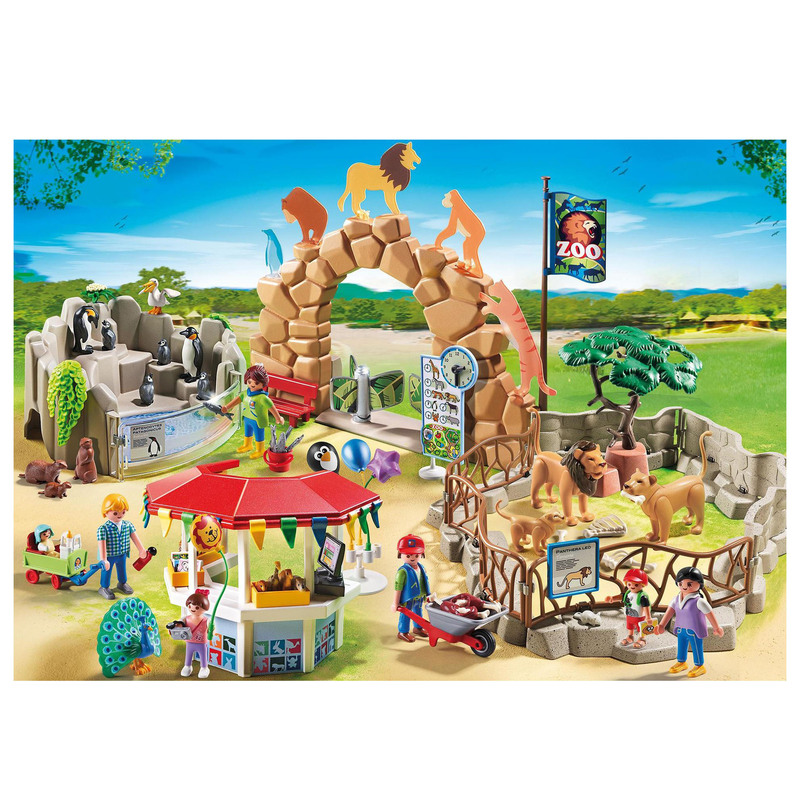 Bought this play mobil zoo for my grandson, had already purchased one for my granddaughter somes years ago. It is strong and fun to play with, it gives hours of pleasure to little ones. You can buy extra pieces to add on.